Almost everyone knows at least one person who experiences migraines. When an episode sets in, it’s usually not enough to take a couple of aspirin and rest for a few hours. A migraine attack can interrupt your normal routine, sometimes for several days. Nausea, severe head pain, visual disturbances, and light sensitivity are a few symptoms that might present during an attack. You might be surprised to learn just how common migraines are and that they can impact anyone, even children. Across the U.S., someone goes to the emergency room every 10 seconds with a complaint of head pain, adding up to 1.2 million visits for acute migraine attacks. 12% of the population, including children, suffer from migraines. 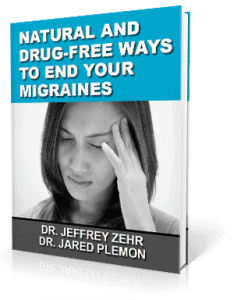 Migraines most commonly affect people between the ages of 25 and 55. Prior to puberty, boys are more affected than girls. During adolescence, however, the risk of migraines and severity of the condition rises disproportionately in girls. About 10% of school-age children experience migraines, leading to twice as many absences than children without migraines. Many people with migraines have tried all types of options looking for relief. Common treatments include medications, either over the counter or prescription, to address a headache and nausea of a migraine episode. Upper cervical chiropractic is an approach that aims to correct the root cause of migraines so that the body is able to recover naturally. The uppermost vertebrae of your spine protect an important part of the central nervous system, the brainstem. When the atlas vertebra misaligns, it can create abnormal pressure or tension in the area of the brainstem, which can lead to abnormal communication between the brain and body. At Zehr Chiropractic, our priority is on making sure your atlas is properly aligned. A properly aligned atlas is necessary for normal brain-body communication. In the case of migraines, a misalignment of the atlas can be creating the conditions that can cause headaches, nausea, and other symptoms. Restoring normal atlas alignment, and normal signals traveling to and from the brain, can lead to a reduction of the severity and frequency of migraines.